Sore, fatigued, achy feet and ankles, spider and varicose veins, all are signs of inefficient blood circulation. Compression stockings apply external pressure on the leg to provide extra support and enhance circulation. Compression stockings help relieve all the symptoms by increasing circulation because of the constraint around the ankle, forcing calf muscles to pump blood more efficiently. At Sherway Physiotherapy Clinic, we have expert therapists that are well-trained in carrying out the assessment and sizing of your compression stockings. 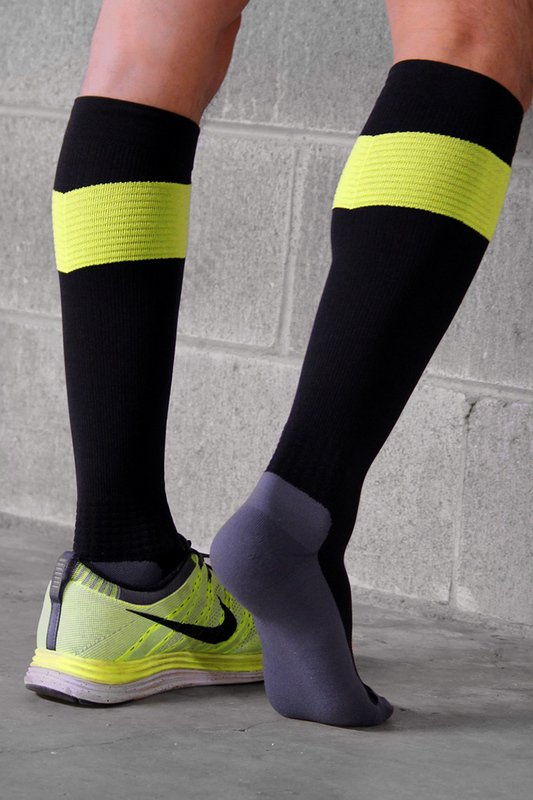 Are You Fit To Wear Compression Stockings? There are different levels of compressions available. The pressure exerted by stockings is measured in millimetres of mercury, mmHg. Medical grade compression stockings require a physician’s prescription. We offer compression stockings with different pressures and styles from THERAFIRM and JEBA, both wellknown suppliers. You can choose from knee high, thigh high and a full pantyhose. We can help you in the selection process and then take the exact measurements to ensure that these compression stockings fit you perfectly. In addition we offer compression socks, in a variety of fashionable designs.If you underwent a leg vein surgery, wearing compression stockings during the rehabilitation period is mandatory. Tired, achy legs-poor blood flow leads to the accumulation of toxins in your legs and feet, which causes discomfort. Swollen feet/ankles-inefficient circulation results in blood pooling in legs and feet. Pregnancy-increased weight in conjunction with certain hormones released during pregnancy can cause soreness in legs. How To Use Compression Stockings? You should put the socks on before bringing your legs to the ground when you wake up. Your vein valves work more efficiently when you are lying down. When you stand, you are more susceptible to experience issues with circulation. With the use of compression stockings right from the morning, you will have a better circulation all throughout the day. You will also benefit from compression stockings if you are pregnant, have to stand for extended periods or must frequently travel with limited leg room. Contact us if you have swelling and soreness in your feet or legs. We guarantee you a speedy recovery.